Why? We do not know. The changes across the UK may be being influenced by changes in insect abundance, nest site availability, problems in wintering grounds and changes in timing of migration. In an attempt to find out more and to increase our understanding of these changes in the House Martin population, the BTO is organising a House Martin survey. 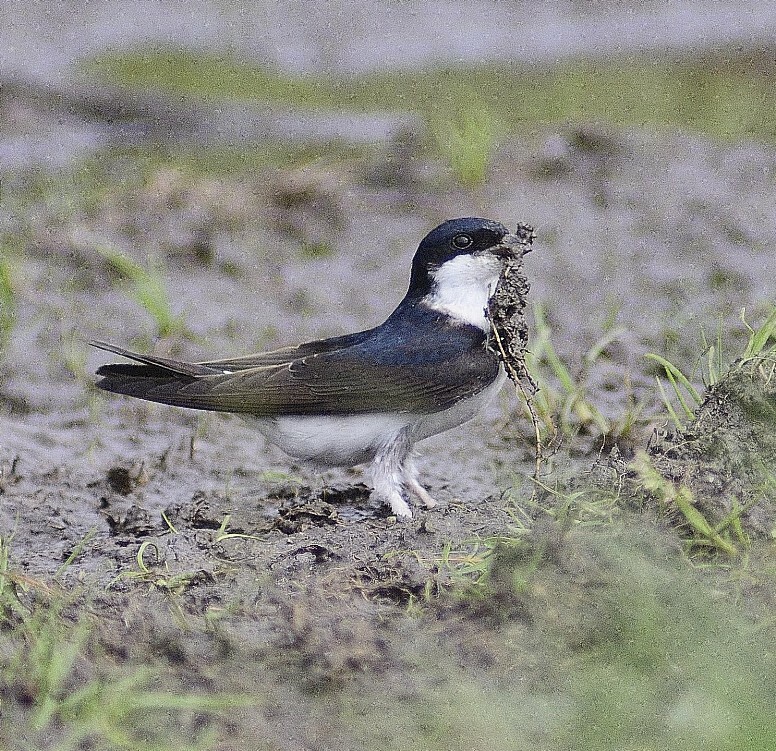 In June and July 2015 hundreds of BTO volunteers including some on Arran completed the first part of the survey when they searched nearly three thousand pre-selected one kilometre squares counting any House Martins that they found. The analysis of this data should produce a UK population estimate. This year the second part of the survey should be more interesting and easy for anyone with House Martins on or near their property to take part. 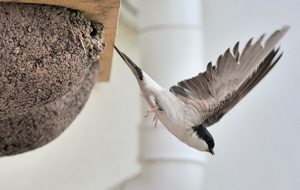 Unlike in 2015 survey sites are not pre-selected and participants will be able to choose nests to monitor, so it will be ideal for people who have House Martins nesting on their house. After submitting a few simple details about the site, all you will need to do is to spend around fifteen minutes once a week throughout the breeding season observing your nests (from ground level) and record the condition of the nests and details of the activity you observe (e.g. adults feeding young). This will enable the BTO to compare factors such as egg laying dates and breeding success at different sites across the country. 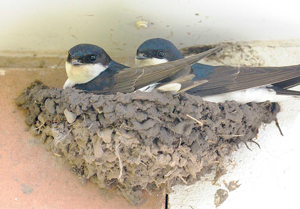 The survey is not restricted to nests on your own house, so even if you do not have House Martins yourself you can still take part . You can survey nests at your place of work or a neighbour's house provided you have the owner's permission. Observations can be shared and others can be encouraged to record observations so for example a team could cover an area. In order to make regional comparisons, the BTO need as many people as possible to take part. It should be fun to do.